In yesterday’s release week post, you learned that I stole the place names in Escapee from Banff National Park. Here are some specifics. Captain Dukelsky’s command at Castle Mountain Fortress is destroyed early in the book. 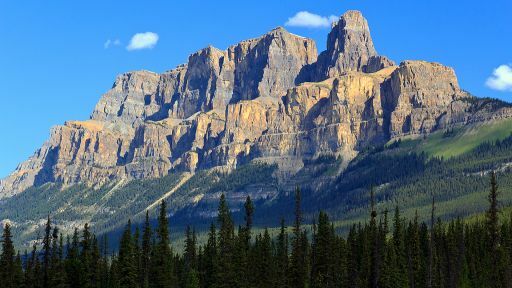 It is named after the most impressive mountain visible from the Trans-Canada Highway through Banff Park. 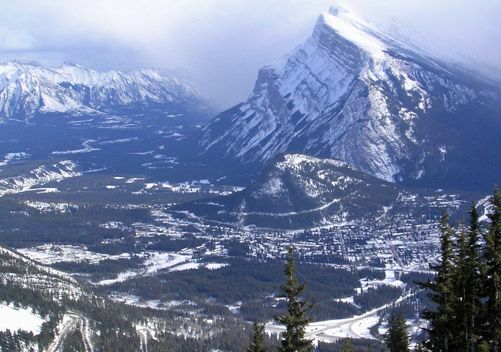 Norquay, where the enemy headquarters lie, is named after Mt Norquay, well known as a ski hill. Another of the outposts captured by the enemy is Rundle City. The town of Banff sits at the foot of Mt Rundle. Here is Mount Rundle as seen from Mount Norquay. The town is at lower right. Catt pilots her airship, the Escapee, through Louise Valley, where the airship is attacked by a Proximanian jet copter. 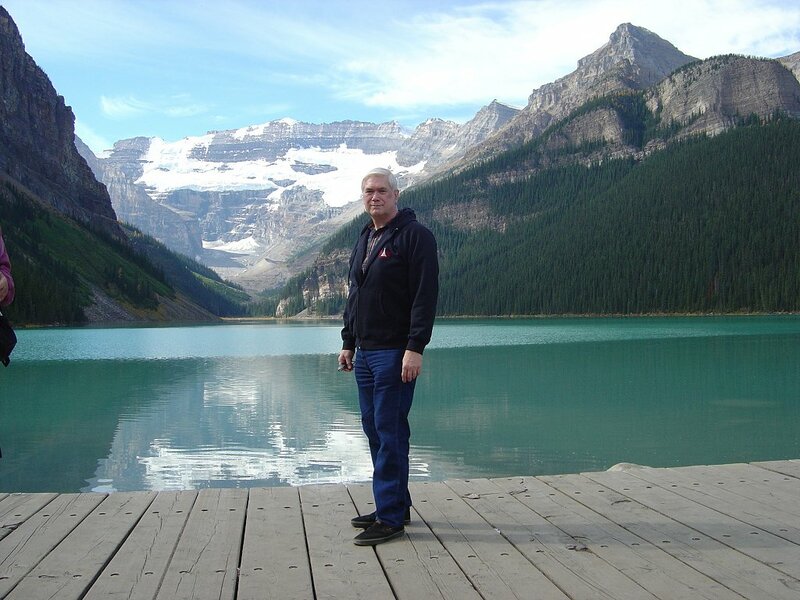 Lake Louise is the most famous lake in Banff Park. Have you ever been to Banff National Park? Or maybe there’s another mountainous region that you love? Tell us about it in a comment.